Venturing west of the Pacific Highway, a network of quiet, country roads connect the small villages of Clunes, Rosebank, Coorabell, Dunoon and Federal. These and other communities, such as Eureka and Eltham, are hidden treasures of the region. 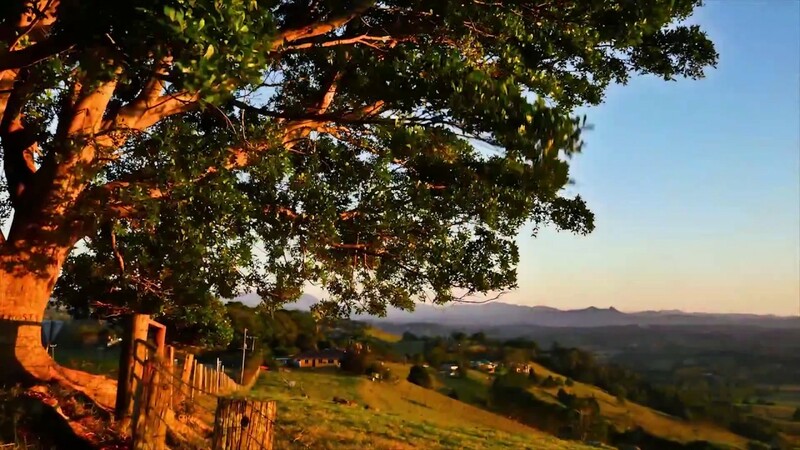 Home to several small primary schools and many general stores, local shops that hark back to the traditional days of settlement and breathtaking scenery and national parks, the Hinterland is a wonderful region of the Northern Rivers to explore and discover. The Nightcap National Park offers superb hiking and picnicking opportunities. The iconic Minyon Falls is a special way to spend your day, with the Wren’s Nest café providing delicious refreshments after your adventures. Bangalow Road provides an arterial connection to the outside world, traversing the region from Byron Bay to Lismore, about 30 minutes in either direction. As well as being the closest metropolitan hub, with a wide and diverse range of shops, galleries, restaurants and activities, Lismore is also home to Southern Cross University and numerous Christian and non-sectarian schools and colleges. Solitude embraces the Hinterland, expansive national parks quiet, rural communities and humble country pubs allowing you to escape the world in a warm, friendly environment. The Pacific Highway is just 20 minutes to the east, providing easy access to all the delights and conveniences of northern New South Wales and Southern Queensland. The Byron Shire Hinterland offers a hint of wilderness living without stepping too far off the beaten track.